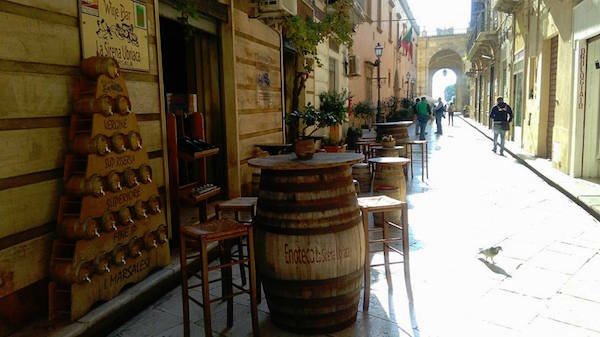 You can find us in the historic centre of Marsala between Porta Garibaldi and Town Hall, if you like wines and genuine local products pass by, we wish to give you the opportunity to refine your culture of “fine drinking”. In a joyful ambience of rendez-vous and conversation, the experience of Salvatore will guide and assist you during free tastings of D.O.C. and I.G.T. Sicilian wines, Marsala’s, extra virgin olive oils and many other fine typical products of our land. On the shelfs of our wine shop you can also find rare bottles of the best Marsala’s ever produced. We sell directly and ship to several countries, we are always happy to give you all the information you require on local factories and wine producers.